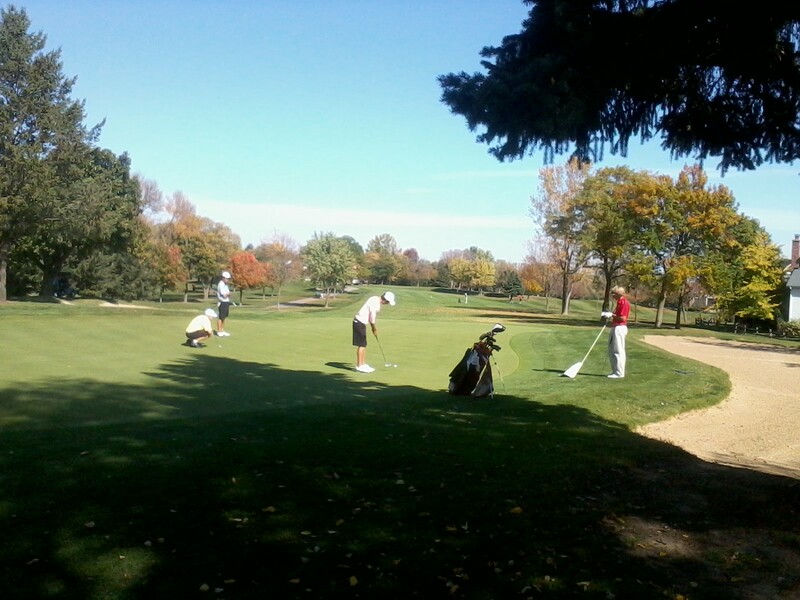 What a privilege it was to host the Palatine (Fremd) High School Golf Sectional yesterday. The weather was fantastic (as it has been for nine straight days) and we had the pleasure of preparing the golf course for a lot of excellent young golfers. Your’s truly played high school golf…way back in the day, but unfortunately I couldn’t hit a golf ball as far and straight as what I witnessed yesterday. 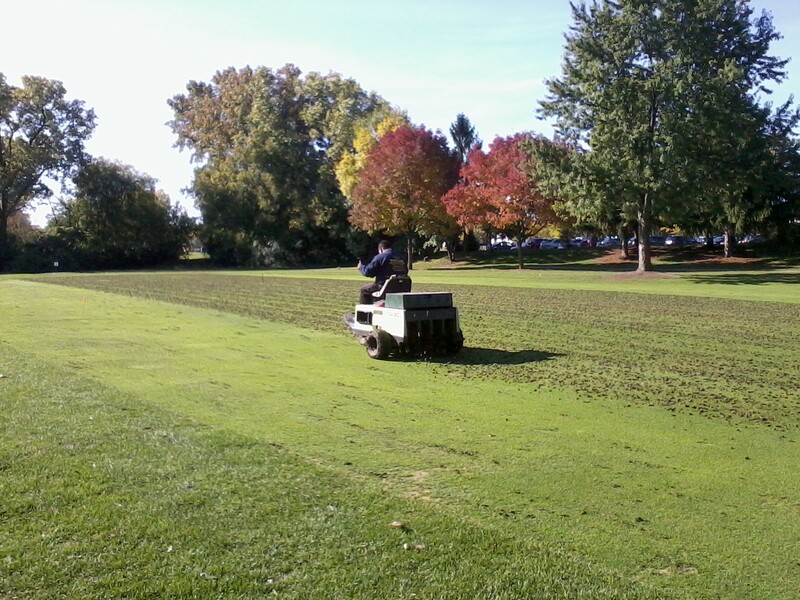 Greens aerification (The first half of each green) has been rescheduled for Monday, Oct.17. As you can see in the picture to the left, fairway/tee aerification has already begun…the proshop will be updated every morning on aerification plans, so please feel free to call ahead (847-310-1100 ex.27) if you’d like to know the agenda prior to coming out. Thanks for your patronage…see you on the course. This entry was posted on Tuesday, October 11th, 2011 at 9:36 pm and is filed under Uncategorized. You can follow any responses to this entry through the RSS 2.0 feed. You can leave a response, or trackback from your own site.